What an amazing weekend we had, we loved meeting all our brides and grooms, event planners and party goers who came to see us at Delamere Events to chat through your ideas. We hope you enjoyed seeing our teepees in all their glory as much as we enjoy sharing them with you. We certainly got through a whole lot of bubbly and marshmallows. After a long Wet Windy Winter, The Summer party and Wedding season is now on the horizon. There has never been a better time to come and see what your dream wedding or party venue could look like. Our Inspirational Tipis are on Display at our Spring Open Weekend from Friday afternoon on 11th March to Sunday Teatime. This is a great opportunity to experience our fabulous Tipi’s first hand. 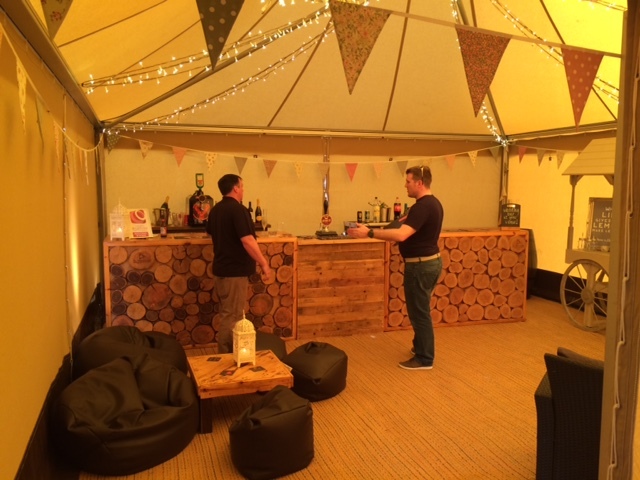 Meet the Tipi team and Chat through your plans over a Glass of Bubbly. You will also have to opportunity to browse some of our fabulous supplier’s stalls and get warm by the fire whilst enjoying your glass of fizz. No need to book. Just turn up! For more details please visit our Wedding Tipi Open Days page. 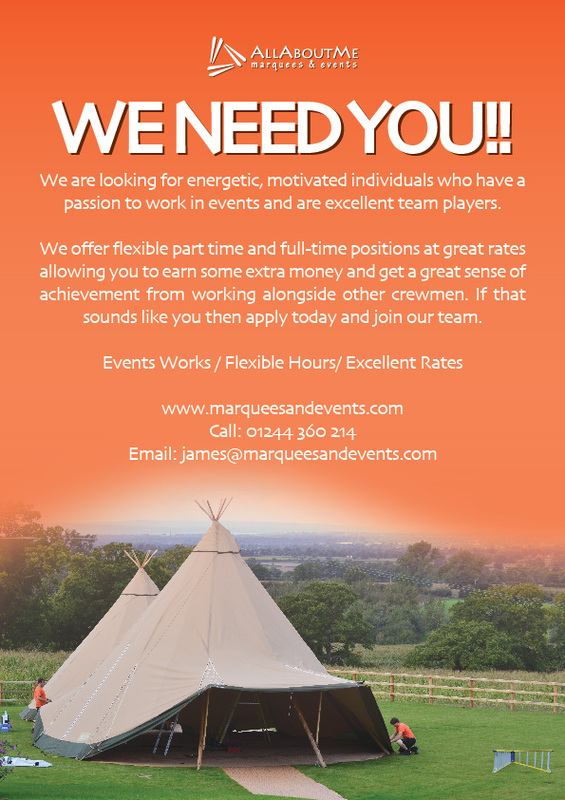 If you would like to make an appointment to chat with one of our team please give us a call on 01244 360 214. or Drop us an email at info@marqueesandevents.com. Matt and I met on an impromptu night out in Warrington. 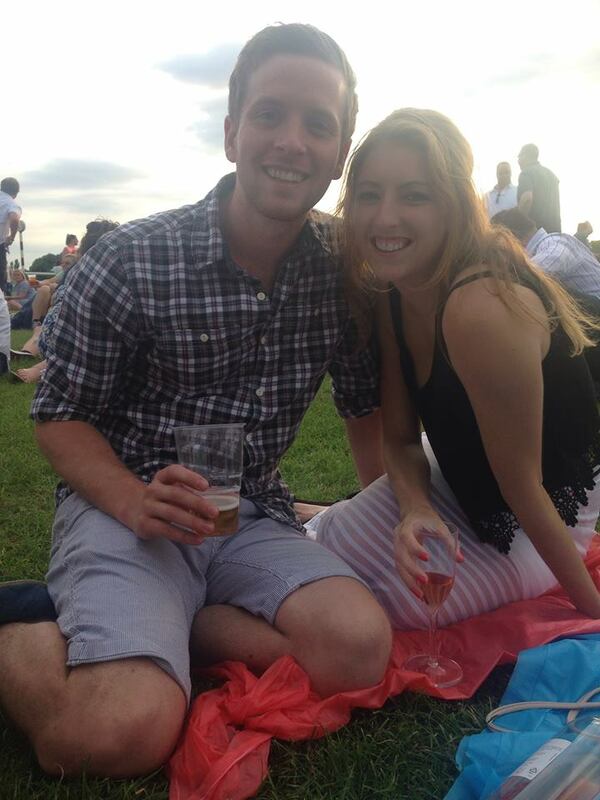 Unfortunately the way we met wasn’t terribly romantic, however he must have done something right because 3 years later we own our own house with 2 pet dogs and are engaged to be married! Matt proposed to me in October 2015 in my ideal way, walking with our dogs in a beautiful setting in the Yorkshire Dales right in front of a waterfall, we decided instantly we didn’t want to wait too long to get married. We knew we wanted it to be late summer but that would only give us 11 months to organise the wedding and save up to pay for it, eek! But the alternative was to wait until 2017 – definitely too far away for us! So that was it, we started planning for September 2016. At first I thought the planning was going to be a nightmare, thinking back to how difficult it was for us to agree on how to decorate the house! But straight away we seemed to have the same ideas, neither of us wanted a religious wedding, or a standard hotel wedding. 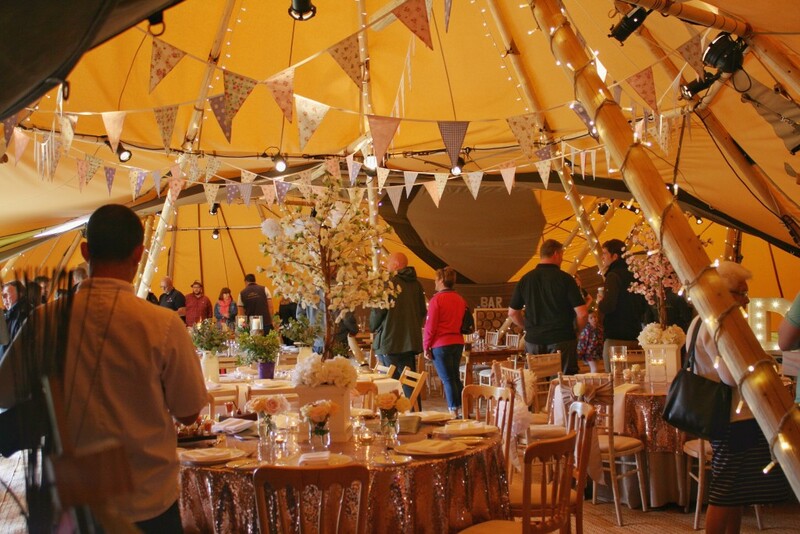 We both love the outdoors, so were originally looking for an outside wedding venue when we came across All About Me Marquees & Events – a Tipi! 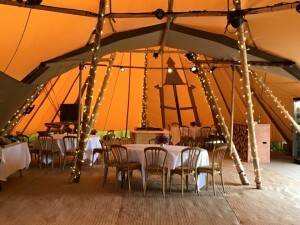 The pictures looked stunning and we had to see them in person, I called the team on a whim whilst I was at work – we’d actually just missed the Autumn Open Day, but they said the tipi’s would still be up if we wanted to go and see them. Yvonne was very helpful on the phone and arranged for James and Andy to meet us. The only time we could meet was in the evening so it was dark but the tipi’s looked amazing, so much bigger than I expected, a lot warmer and also a lot more private. The fairy lights made the place look so magical. That was it, we were in love with the tipi and just had to find somewhere we could put it! All our plans are coming along nicely, we have booked the venue, the band, the honeymoon and I have my dress – no food as yet though, but we’re certain it will come into place soon enough! We want to say a great, big, massive thank you to Dave and the team for the amazing news that we won their competition! It was such an amazing surprise! Now we can get the bigger dance floor package! We’re looking forward to the Spring open day now to see the tipi’s in the daylight and start imagining how to decorate them (although we already have a few ideas!). Thank you again to everyone in the team you have been an absolute joy to work with so far! We are heading into the first day of Advent tomorrow. Yes December has arrived already and we are celebrating by doing our ever-popular, festive spot the difference advent calendar. We were going to make it just a single difference each day, but Samantha decided that was far too kind and easy for you lot! So there are 3 differences every dingle day from now until Christmas. It is just for fun, so you are welcome to comment on each image if you have found the differences, ask us for help if it is driving you mad, or share it with friends. Ideally, this is what we would like you to do so that as many people as possible can see just how fabulous our tipis are! And watch out for special offers, discounts and announcements along the way. 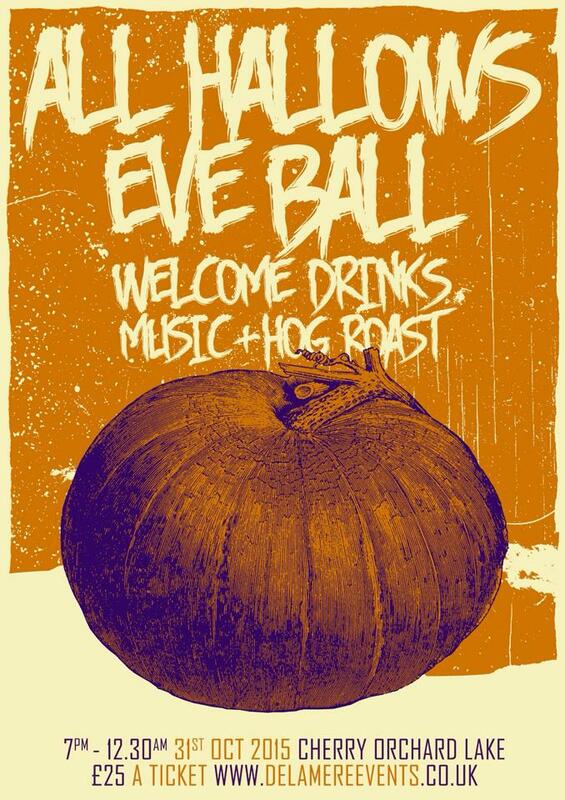 Are you going to the All Hallows Eve Ball next weekend? We are…and it is going to be amazing! Just imagine how spooky the tipis will look when they are all lit up and decorated by the Delamere Events team. We can’t flipping wait! The event is getting so big we have to keep giving them extra Tipis. So if you haven’t already got your tickets email them now info@delamereevents.co.uk or visit their Facebook page. See you there…. 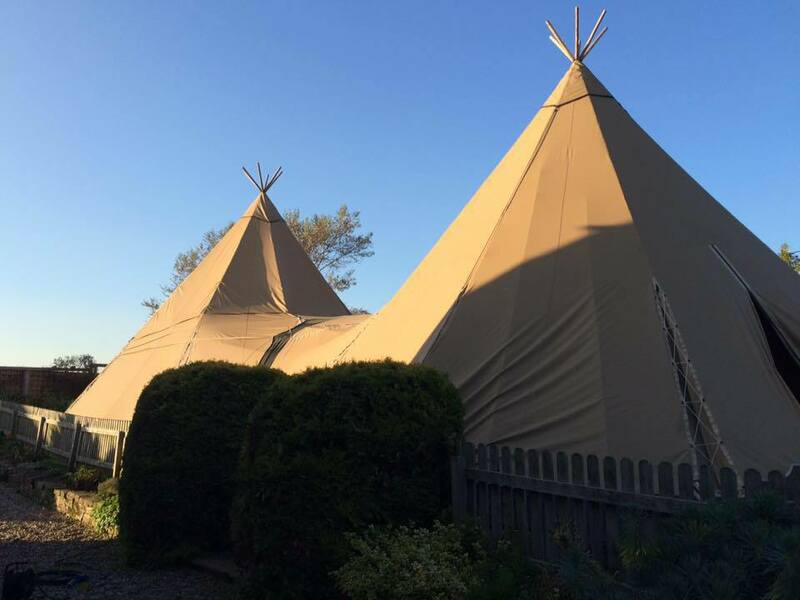 October 20, 2015 / admin / Comments Off on Tipi’s open this weekend! Now is your chance to come and see what your dream wedding could look like! Our Tipis are up from this Friday 23rd until Sunday 25th October. Come along and have a chat to our team, browse some of our supplier stalls and get warm by the fire whilst enjoying a glass of fizz. You don’t need to book. Just turn up! 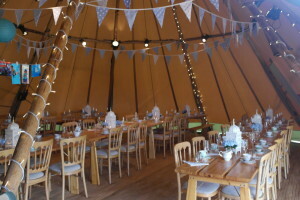 For more details please visit our Wedding Tipi Open Days page. If you would like to make an appointment to chat with one of our suppliers or with one of our team please give us a call on 01244 360 214. See you at the weekend!!! If you are looking for an inspirational and beautiful wedding venue, then you need to take a look at the wedding tents provided by All About ME Marquees and Events. To be honest, the word ‘Tent’ doesn’t really do them justice. It brings up memories of camping trips and muddy fields, but our wedding tents couldn’t be further from this. Don’t just take our word for it. Ask one of our clients who got married in a ‘Wedding Tent’ in the middle of November last year. 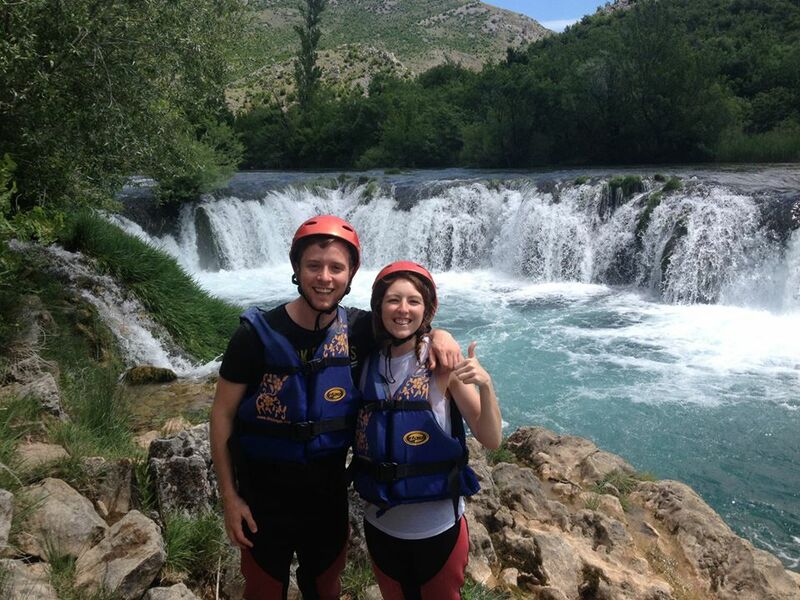 Kate and Sam Mallows found their perfect location and asked us to provide the venue. That’s the beauty of wedding tents. They can come to you, wherever you decide you want to get married. All About ME have erected tents all over the UK. Whether it is at a private residence, a wedding venue, stately home, or just in the middle of a field, we can pretty much put up a wedding tent wherever you want us to. This beautiful couple kept a blog for us about planning their wedding day, which you can take a look at here and check out some of the wonderful pictures in our gallery. To make an enquiry about All About ME Marquees and Events providing wedding tents for your special day just call 01244 360 214. 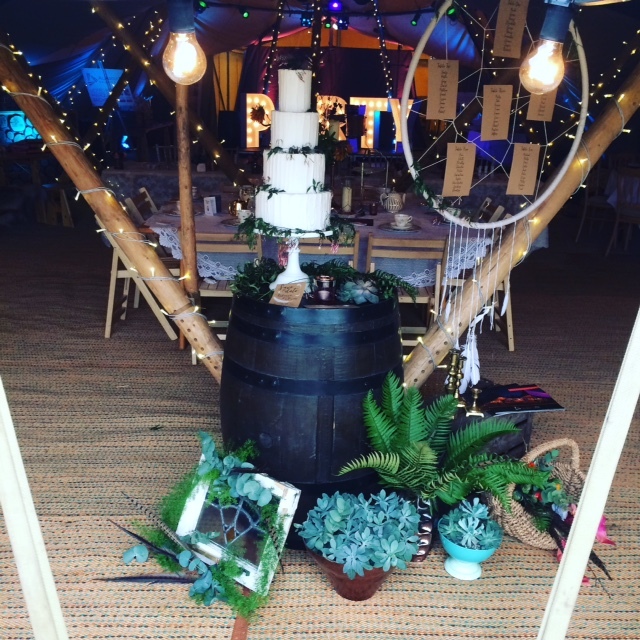 October 13, 2015 / admin / Comments Off on Christening in Tipi Style! September has been a busy time for the All About ME team. 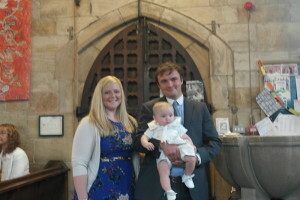 Little Charlie Merrick was Christened in the presence of all of his family and friends at Kelsall Church. What a lovely day, with the sun shining all day long. The obligatory party took place after the ceremony in our Giant Hat Tipis complete with fire pit, marshmallows and tasty afternoon tea provided by Horseradish Catering. The Tipis looked beautiful thanks to the Bunting Queen and Pretty Little Trio, and of course the pictures of Charlie dotted around. This was the first Christening that All About ME have had in the tipis. The Giant Hats are regularly used for weddings, but they aren’t the first thing that everyone would think of when organising a christening. People tend to stay fairly traditional when it comes to naming ceremonies, baptism, bah mitzvahs and christenings. 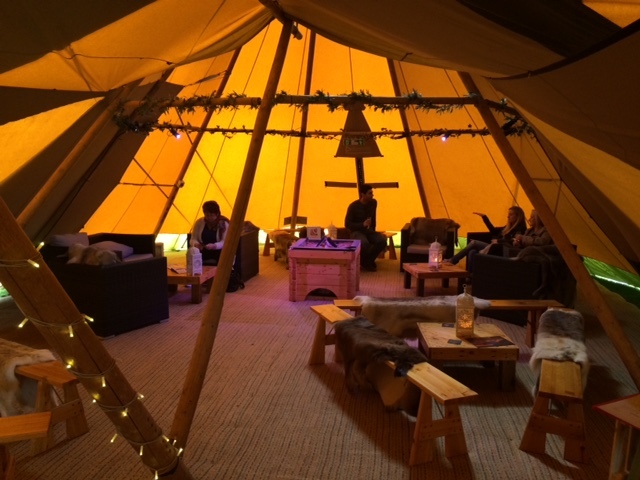 But as we have just discovered the Tipis make the perfect atmosphere for such a special occasion and the kids absolutely loved running around inside. We had children’s play area complete with ball pool which kept the babies and older ones entertained for the whole day. The venue also provided a great background for the photographs. As did the beautiful St Andrews Church. James and Samantha scrubbed up pretty well too but Charlie definitely stole the show. What a cutie! Tipis, Dancing and Cheshire Ice Cream! 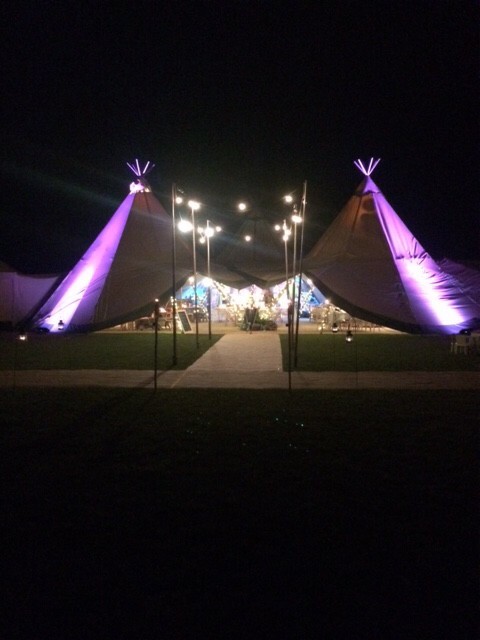 October 12, 2015 / admin / Comments Off on Tipis, Dancing and Cheshire Ice Cream! 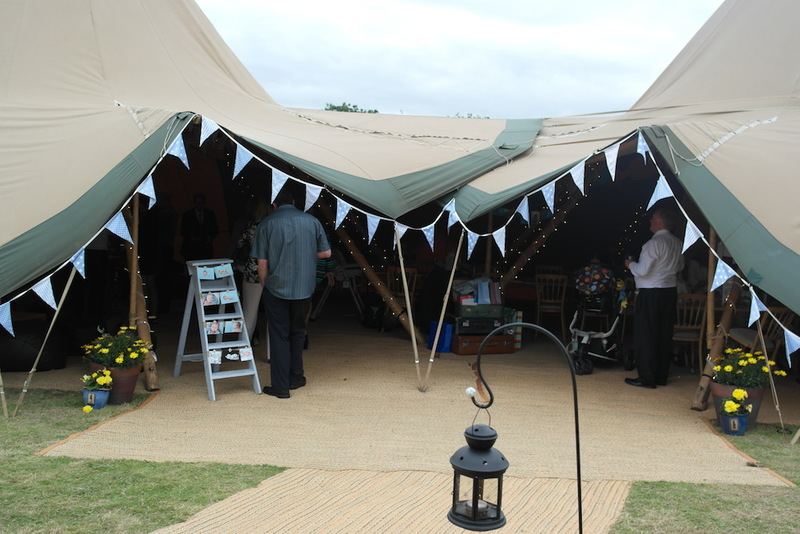 If you have been to Cheshire’s number one family day out recently, you might have seen our Tipi’s. Cheshire Ice Cream Farm in Tattenhall was the venue for a very special birthday party at the beginning of the month. We won’t reveal too many details, but happy birthday Louise!!!! And what a fantastic night it was! 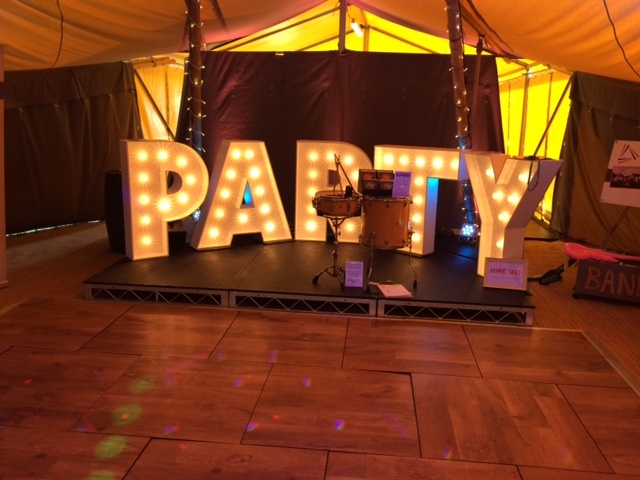 There were two giant hat tipi’s with a fire pit and fairy lights, drinks bar, DJ, dance floor and giant disco ball! For the time of year, the weather was actually quite mild so the fire pit provided enough heat for everyone without the need for additional blow heaters. The fact that there were about 100 enthusiastic party goers and great music also helped the temperature to stay comfortable even with the front of the tipi wide open. The following morning, the hosts provided a bbq breakfast outside the front of the tipis which caused a bit of confusion for some of the ice cream farm visitors. They clearly thought that our tipis looked like a great visitors attraction as they tried to join in with the private party! Some of the kids who has missed out on the evening entertainment also enjoyed being able to run around on the dance floor the morning after. This event proved to us yet again that the tipis really speak for themselves. With minimal effort they can look amazing. The tipi’s weren’t decorated with bunting or elaborate table displays. Simple fairy lights were enough to make the atmosphere magical, helped of course by great music and eager dancers. Of course the added bonus of the party location was that the All About ME team could enjoy delicious ice cream whilst at work and the party goers could get yummy refreshment after a long night of celebrations. Happy birthday again Louise, from All About ME!